In honor of her 80th birthday, the family of Mrs. Mary Sue DeLaughter Shinn recently gave $20,000 for an endowment to benefit the Theatre Department. 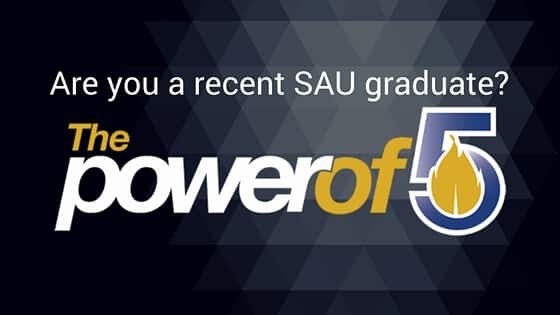 Mrs. Shinn received her Associate of Arts degree in Home Economics from SAU in 1939. 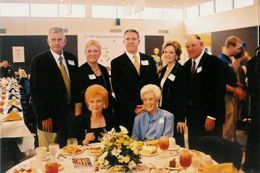 Mrs. Shinn and her family are long-time benefactors of the University. In 1980 she and her husband endowed the Gresham J. and Sue DeLaughter Shinn Scholarship. In 1987, Jay Shinn endowed a scholarship in honor of his sister, Bobo. Mrs. Shinn’s children who gave the endowment are (left to right) Wayne and Sarah Shinn Newton BBA 1966 of Dallas, Jay Shinn of Dallas former student, Linda Shinn Grace BSE 1967 and Happy Grace BBA 1968 of Texarkana, seated Becky Shinn BBA 1969 of Texarkana and Mary Sue Shinn.